I use only my keyboard. how do u do that then ? just printscreen and what then ? And a fail skin of a Macintosh HAHA. 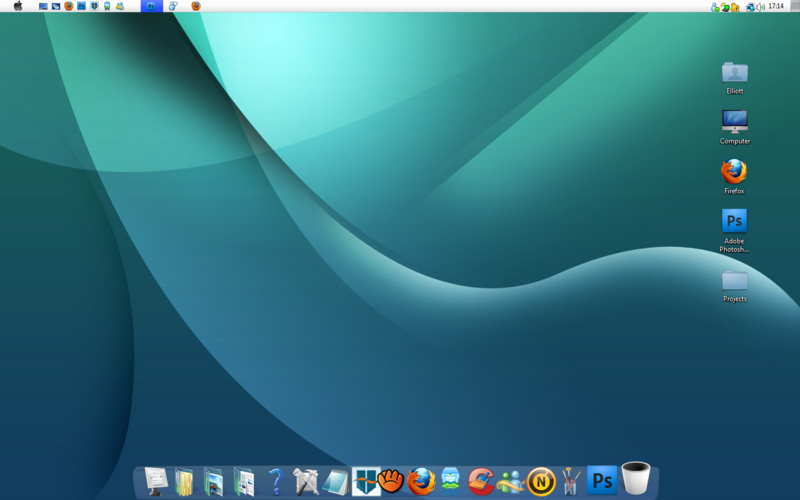 I've got Vista with a Windows 7 skin, but I managed to make it seem more like a Apple Mac. I'm cheap, I like free stuff, as ubuntu. Buyt just more graphical instead of only colours. Hey Acid, I'd like to try Ubunto, I just can't get my head around installing it. It's not just download and install lol. Go to their site, download, and just install it. BUT, I recommend keeping windoze on your computer, since Photoshop won't rum properly.